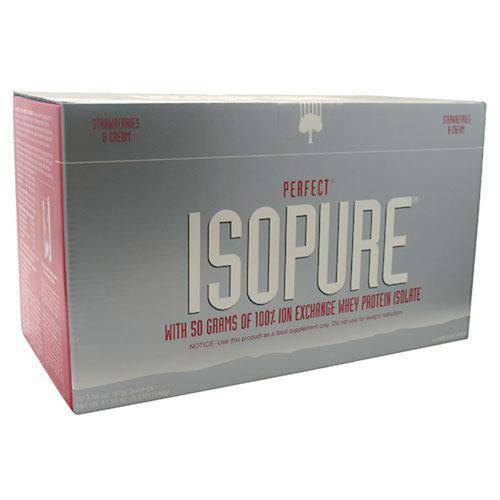 Nature's Best Isopure is a lactose and fat free protein drink mix. Notas: Free of lactose, fat, and aspartame. Glutamine-enriched. Recomendações de uso: For a rich, delicious shake, place contents into 12 ounces of water and mix in a shaker or blender. If a shaker or blender is not convenient, Isopure can be stirred into solution with a spoon. Note: Finished product will not appear completely clear due to addition of vitamins, minerals and flavor. It's So Pure the Protein Dissolves Clear. Using a spoon, stir contents of bag into 2-3 oz. of water. Let stand for ten minutes. Please be patient, as ten minutes is needed for the air to escape. The result is a slightly cloudy liquid, clear enough so that you can see right through it. The protein use in Isopure doesn't have the properties typically associated with a milk protein. It doesn't look, smell or taste like milk. We isolated the whey protein molecules and eliminated the impurities to provide you with the purest product of its kind.